Quick Breakfast Ideas To Fuel Your Family | Just The Right Spice! Mornings can be pretty hectic for most people, all too often breakfast is skipped or it’s something unhealthy, eaten on the run. Adults are rushing off to work, children need to get to school and breakfast just doesn’t seem important at that time. Following are some quick breakfast ideas for you that are nutritious and quick. But I don’t eat breakfast! I’m sure you have heard the saying, “Breakfast is the Most Important Meal of the Day” and it’s certainly true especially when it comes to children. Countless studies have shown that children who eat a balanced breakfast are more alert in school, perform better and in many cases are less prone to bad behavior than children who don’t eat breakfast. These are pretty good reasons why your kids should eat breakfast and you’ll enjoy the same benefits too. 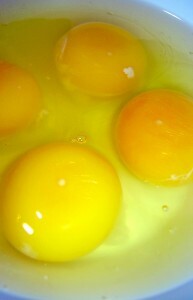 Eggs are classic breakfast food because they versatile and nutritious, plus most kids like them. Start the day with simple scrambled eggs, you can add a little chopped ham, cheese, chopped tomatoes or mushrooms. Soft or hard boiled eggs with slices of whole grain toast will down well too. This is my favorite! While store bought muffins aren’t always the most nutritious, if you bake your own you can add fruit or grated vegetable and a little honey for a naturally sweet breakfast muffin. You can also replace half of the amount of white flour for healthier whole wheat flour. And don’t just stick to sweet muffins, try a savory muffin such as cheese and ham. Bake them the night before for a quick and healthy breakfast. Fresh fruit with yogurt and cheerio dip make a healthy fun breakfast for kids. Using a rolling pin crush a handful of two of whole grain Cheerios in a plastic bag and transfer to a bowl. Fill another bowl with yogurt and let your kids dip the fruit pieces in yogurt then in the cheerio mixture. Whole grain Cheerios have a lower sugar content than many of the cereals on the supermarket shelves. Prepare a basic pancake batter the night before, cover and refrigerate. In the morning all you need to do is heat the grill and your whole family can enjoy delicious homemade pancakes. Serve with a little maple syrup or jam and some fresh fruit on the side. 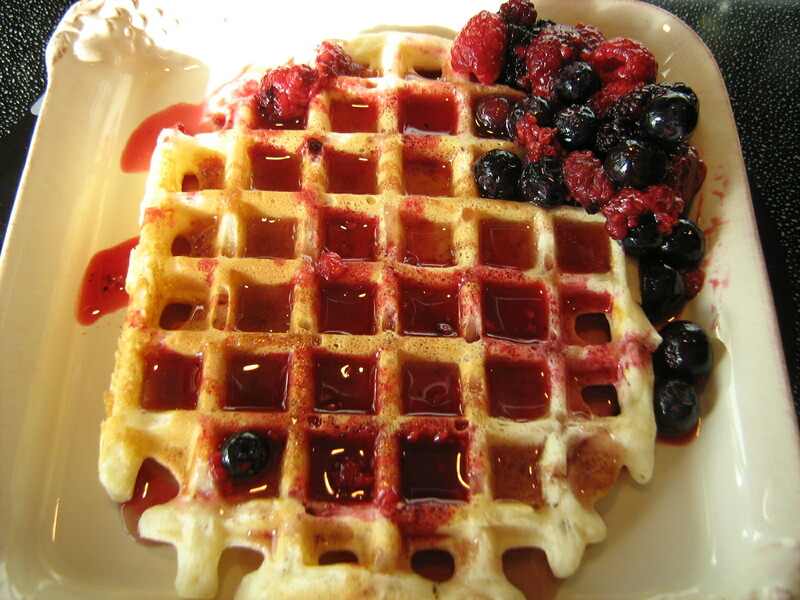 Make up some extra waffles on the weekend, freeze them for quick week day breakfasts. Reheat in the toaster! Split a couple of bagels in half, top with a little pizza sauce, grated cheese and some chopped ham for. Place under the grill for a few minutes and you have a nutritious breakfast pizza. You can also use English muffins or pita bread. 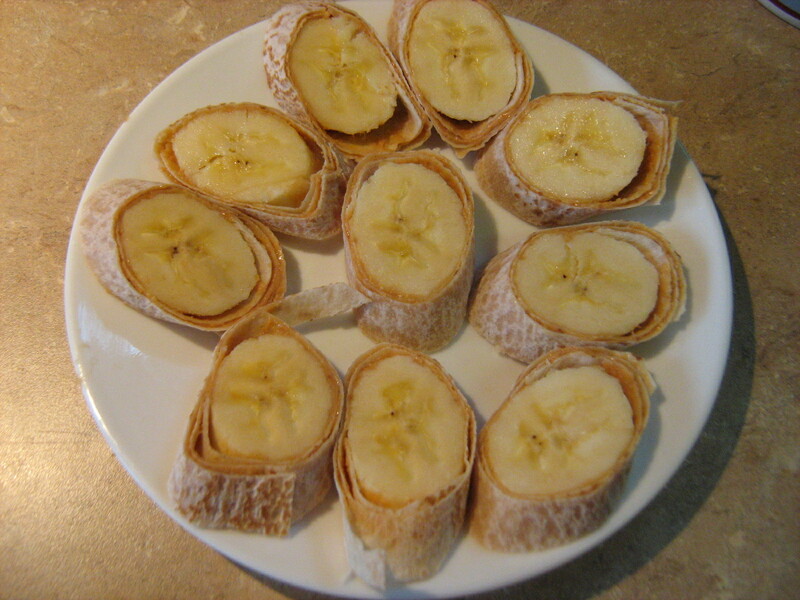 Whole wheat wraps are a great alternative to toast and cereal. You can make a scrambled egg breakfast wrap with a little bit of ham or cheese added to it or you can add a little cream cheese and turkey or even make a breakfast pizza burrito. Spread a whole wheat wrap with peanut butter, roll around a banana, slice or eat as is. Remember breakfast doesn’t have to always consist of the traditional toast, cereal, and eggs, you can experiment a little to keep things interesting. And don’t put too much pressure on yourself to always make the perfect family breakfast. If your kids really aren’t hungry at breakfast time a simple banana and a glass of milk will give them an instant boost. The most important thing is that your child starts the day with one or two nutritious foods. This is Katie from the Cheerios Facebook team. We think your suggestions for cooking up a healthy breakfast for your family are great and we would love to share your post with our Facebook fans! Please let me know if we have your permission to post a link to your article. Respond with your answer in this comment thread or by emailing me. Either way, great post and great tips! Hi Katie thank you for asking, I’d be honored if you shared this with your Cheerios facebook fans. I’m glad you found the ideas helpful and hope your fans do too. Thanks again for allowing us to share. I just posted your link to our Facebook page if you would like to check it out!